Owner at Farquhar Holdings Pty Ltd. Shed Supplies Gold Coast, Shed Sales and Installation, Structural Landscaping. 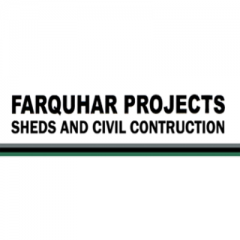 So, when looking for services in shed and civil construction, trust only Farquhar Projects.